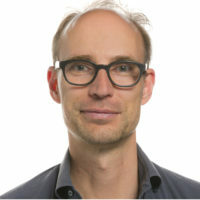 Olaf Blanke is founding director of the Center for Neuroprosthetics, Bertarelli Foundation Chair in Cognitive Neuroprosthetics at the Swiss Federal Institute of Technology (Ecole Polytechnique Fédérale de Lausanne, EPFL). He also directs the Laboratory of Cognitive Neuroscience at EPFL and is Professor of Neurology at the Department of Neurology at the University Hospital of Geneva. Blanke’s research is dedicated to the neuroscientific study of multisensory body perception and its relevance for self-consciousness by using a broad range of methods such as the neuropsychology, invasive and non-invasive electrophysiology, and brain imaging in healthy subjects, neurological and psychiatric patients. Most recently he has pioneered the joint use of engineering techniques such as robotics and virtual reality with techniques from cognitive neuroscience and their application to systems and cognitive neuroprosthetics and neuro-rehabilitation. Blanke O (2012) Multisensory brain mechanisms of bodily self-consciousness. Nature Reviews Neuroscience: 13: 556-571. Ionta S, Heydrich L, Lenggenhager B, Mouthon M, Gassert R, Blanke O (2011) Temporo-parietal cortex encodes self-location and first-person perspective. Neuron 70:363-374. Blanke O, Metzinger T (2009) Full-body illusions and minimal phenomenal selfhood. Trends in Cognitive Science 13: 7-13. Dieguez S, Mercier MM, Newby N, Blanke O (2009) Numbness for somebody else’s finger. Current Biology 19: R1108-1109. Lenggenhager B, Tadi T, Metzinger T, Blanke O. (2007) Video ergo sum. Manipulating bodily self-consciousness. Science 317: 1096-1099. Arzy S, Seeck M, Spinelli L, Ortigue S, Blanke O. (2006) Induction of an illusory shadow person. Nature 443: 287. Arzy S, Thut G, Mohr C, Michel CM, Blanke O (2006) Neural correlates of embodiment. Distinct contributions of temporo-parietal junction and extrastriate body area. Journal of Neuroscience 26: 8074-8081. Ducommun C, Michel CM, Clarke S, Adriani M, Seeck M, Landis T, Blanke O. (2004) Cortical motion deafness. Neuron 43: 765-777. Blanke O, Spinelli L, Landis T, Seeck M (2004) Out-of-body experience and autoscopy of neurological origin. Brain 127: 243-258. Blanke O, Ortigue S, Landis T, Seeck M. (2002) Stimulating illusory own-body perceptions. Nature 419: 269-270.